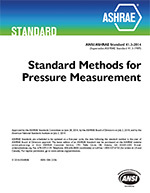 Standard 158.1-2012 offers guidance on testing refrigerant solenoid valve capacity. 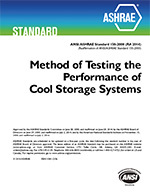 Standard 158.1-2012 supersedes Standard 158.1-2004 and prescribes a method of testing the capacity of refrigerant solenoid valves for use in refrigerating systems. It specifies procedures, apparatus, and instrumentation that will produce accurate capacity data. 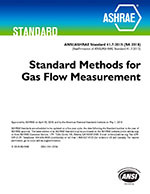 It does not specify rating conditions or electrical or mechanical design requirements (rating conditions may be found in ANSI/AHRI Standard 760, Performance Rating of Solenoid Valves for Use with Volatile Refrigerants), make recommendations for safety, or specify tests for production, specification compliance, or field testing of solenoid valves.